This course offers you an opportunity to study some of the most pressing environmental issues of our time, including biodiversity loss, climate change, invasive species, land-use change, pollution, food security and water scarcity. Most of these issues are fundamentally ecological in nature and hence the course has a very strong focus on ecological theory, application and management. Topics on biological conservation, ecological monitoring, habitat management and restoration, environmental law, ecological economics, ecological impact assessment, as well as assessment of environmental quality, are all included. You will develop your understanding of biodiversity and how ecosystems function and how we can use resources more sustainably. You’ll also develop your research skills such as data analysis, surveying and map work and using geographic information systems. A week long residential field course, currently held in the English Lake District, forms a central part of your first year studies. Following your first year exams you will attend a one week ecology field course at our Bayfordbury field station that underpins your compulsory ecology module. On this course you will have national and internationally renowned ecologists providing training in areas such as botanical surveys, amphibian and reptile, small mammal and aquatic ecology surveys. You’ll visit the Swiss Alps at the start of your second year, developing your research skills. You will also spend time developing your knowledge of how our environment can be understood as changing, with the topic areas of ecology and environmental quality forming a central part of your studies. Areas of optional study include rural development, geospatial information and earth surface processes. Your individual research project will be a key focus in your final year. This is complemented by core modules focused on habitat management and monitoring; biological conservation and solving environmental problems. Areas of optional study include natural hazards, development and tourism, outdoor recreation and education, and geospatial information. Our Environmental Management and Ecology degree is designed to develop a wide range of management and ecological skills and to give students practical field experience, with an option of a work placement or a year of study abroad. Our students have the distinct advantage of our Bayfordbury field station with laboratory facilities and a wide range of habitats (woodlands, grassland, lakes, ponds, rivers, parkland, glasshouses plus an apiary). This provides students with the amenities in which to conduct surveys and carry out research in addition to gaining practical conservation skills with the management of the site. We offer a range of degree titles and other options in our degree programmes. Although you do need to apply for a specific course through UCAS, we have a common first year so you do not need to decide between them until you have had the experience to make an informed choice. During your second year, you will choose whether to proceed directly into your final year and complete your degree in three years, or whether to undertake an optional extra year between year 2 and the final year. This can be spent undertaking a sandwich placement year gaining relevant work experience to enhance your CV and improve your chance of a better degree classification. Alternatively, there is the option to spend a year abroad at one of our partner universities throughout the world to gain valuable international experience that is needed to get on in today’s global economy. Recent year abroad choices have been to Canada, USA (California and Kansas), Hawaii, Japan, South Korea and Australia. Regular opportunities for students to assist staff and local conservationists with environmental and ecological training and research. This includes training to carry out surveys that require a license such as amphibian, reptiles and small mammal trapping; bat surveys and bat box monitoring and bird ringing. 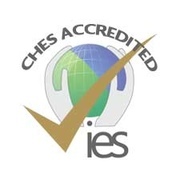 This degree has accreditation from the Institution of Environmental Sciences, meaning our graduates are eligible to become Associate Members of the Institution. Working with voluntary organisations to support community energy initiatives - overcoming the barriers to installing solar panels on school buildings and improving a community energy toolkit. To see what has been happening at Bayfordbury, visit our website page. Our graduates have found successful careers within local government, town and country planning, recreational and habitat management, environmental resources management, teaching and in private environmental consultancies. Some join more general graduate recruitment schemes while others stay at the University for postgraduate study. Our graduates are highly employable and have excellent opportunities in a wide range of careers because of our varied curriculum, with strong emphasis on field and practical experience, the industrial placement year and strong ties with professional bodies and employers in business, industry, regulatory bodies and government. We are currently ranked as 9th nationally for the employability of our graduates in department’s offering environmental science degrees and physical geography. Graduates have found successful careers within the Environment Agency, United Nations Environment Programme, Water companies, Environmental resource management, in private environmental consultancies, local government, town and country planning, recreational and habitat management, teaching and, as well as more general graduate recruitment schemes and postgraduate study. Conservation Officer, Environmental Consultant, Environmental Developments Officer, Environmental Management Systems Developer, Environmental Manager, Environmental Officer, Environmental Support Officer, Assistant Surveyor, Estates manager, GIS assistant, Land Charges Assistant, Planning Officer, Production Systems Development Engineer, Senior GIS Technical Officer, Trainee Emergency Ambulance Technician, Trainee Logging Geologist, Transport Coordinator, Transport Planner. Environment Agency, Affinity Water, South-East Water, Sustrans, Buildings Research Establishment, Banks Cargil Agriculture Ltd, Beds and Herts Ambulance and Paramedic Service, Channel Tunnel Rail Link, Coors Brewers, Datalog Technology Ltd, , Granada Business Technology, Merck Sharp & Dohme, National Grid, University of Hertfordshire, Vaux. Throughout your degree you will experience a range of thought-provoking teaching techniques; such as lectures, seminars, workshops and practicals. You will go on numerous field visits to a diverse range of locations. Practicals often take place at the University’s own field station, as well as in our specialist geosciences and geographical information systems laboratories. Most second and third year modules are assessed by 50% coursework and 50% examination. Five of the first year modules are 100% coursework. The type of coursework is varied, depending on the module and includes essays, reports, practical write-ups, posters and seminar presentations. Before progressing to your final year you have the opportunity to take a work placement year or to study abroad. These experiences are optional but can benefit you in terms of improving your approach to study, your class of degree and your future employability. Environmental management placement opportunities are available within a wide range of organisations including small, national and multi-national companies, local government, consultancy companies and environmental organisations. Students have undertaken placements at a wide range of companies including: Building Research Establishment, Environment Agency, GlaxoSmithKline, BASF, Afinity Water, Earthworks, Centre for Ecology and Hydrology (Lancaster University), Stubbington Study Centre, Plandescil Consulting Engineers, and RPS to name but a few. Successful completion of a placement year may result in licentiateship of the City and Guilds Institute.